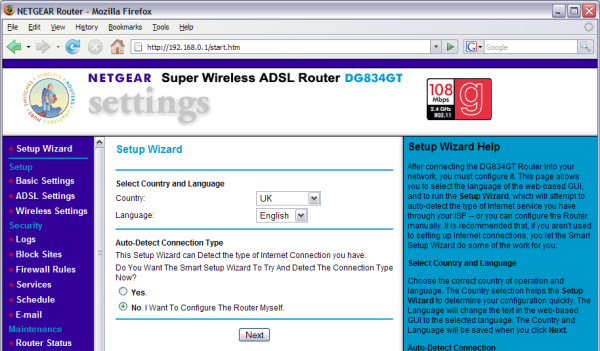 Netgear DG834GT - Be Set up. Default UserName = admin. Password = Password. 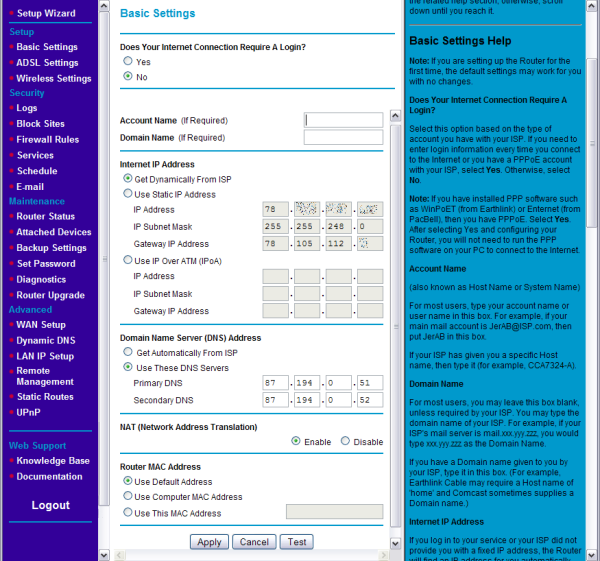 From the Introduction Screen / Left Hand Menu select "Setup Wizard". Enter the ones provided to you by Be. (eg 87.184.0.51 and 87.194.0.52). Use OpenDNS if you prefer (208.67.222.222 and 208.67.220.220). Note:- If you are on a dynamic IP, and have recently been connected, then you may have to either to spoof your BeBox MAC address or wait for your old DHCP lease to expire (appx 30 mins).